File photo/Gloucester Daily Times. The Gloucester High School Fishermen 1998 team. 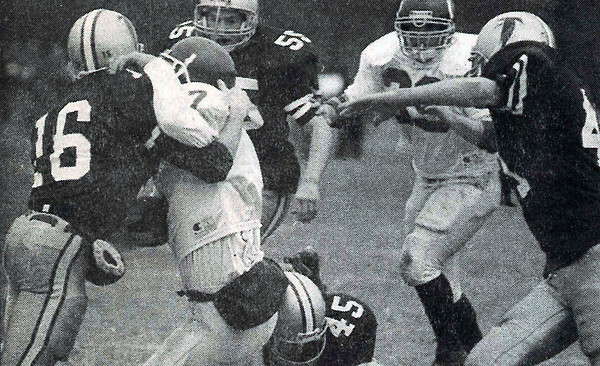 Gloucester quarterback Rocky Silva fought for extra yardage against Danvers during one of their games that year.